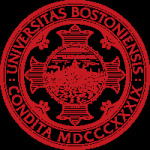 Boston University Study Abroad (formerly International Programs) offers Chinese language and internship programs in Shanghai and a graduate International Relations program in Beijing (BU students only). Boston University Study Abroad (formerly International Programs) offers an unmatched variety of academic and internship programs in more than 30 cities on six continents. Every year, students from Boston University and over 150 other colleges and universities nationwide enjoy the opportunity to study language, liberal arts, fine arts, science, business, engineering, or pursue an internship. BU offers programs in Shanghai and Beijing (BU students only). The Shanghai programs are hosted at Fudan University, a leading university in China and includes a Language and Culture Program, a Summer Chinese Studies Program, and an Internship program. Students are usually housed on-campus or adjacent to the school. Trips to Taiwan and in the Hunan province are also included. BU also offers a graduate student exchange program in Beijing, exclusively for students of the University who are studying International Relations.